Environmental DNA: A new way to monitor species in our lakes? Did you know that there is a way to monitor species in an ecosystem without actually seeing it? That is because species leave a trail behind them—their DNA in fact, which we call environmental DNA (eDNA) after it has left their bodies. Dr. Joanne Littlefair wants to make sure biomonitoring using eDNA is as accurate as possible, and so is putting some of its methods to the test at IISD Experimental Lakes Area. We sat down with Joanne, and she explained what eDNA is, how it can help us monitor species and what we still have yet to discover. Let’s start with the absolute basics. What is environmental DNA? Environmental DNA, or eDNA, is DNA that been released into the environment from an organism. It can exist either as “free-floating” DNA molecules or DNA that is still inside an animal or plant cell. Either way it is DNA that is present in the environment but that no longer belongs to the organism from which it originated. eDNA is usually created when an organism dies and starts to break down, or when a living organism sheds skin or secretes waste products into its surrounding environment. 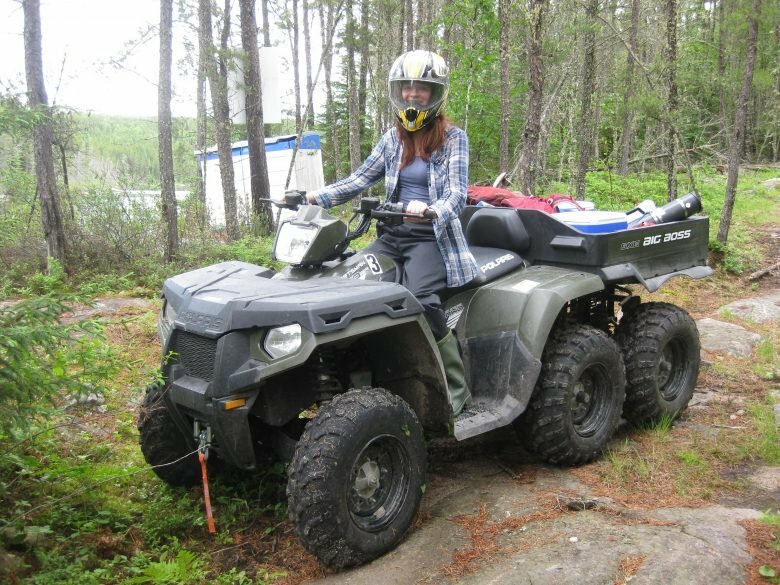 Dr Joanne Littlefair of McGill University has been researching the effectiveness of using eDNA to identify species in freshwater environments. What uses can eDNA have for scientists? You can think of eDNA as forensic ecology for animals and plants. It is an innovative way of tracking where a species has been, and which species can be found in a given environment or ecosystem, on land or in water. This means that eDNA is very useful for monitoring species and populations. Sampling and analyzing eDNA has the potential to be quicker and less labour-intensive than catching examples of species for analysis. eDNA sampling also facilitates the monitoring of rare species, and those that are, by their nature or behaviour, difficult to catch—such as grass carp or nocturnal animals such as bats. This means we can quickly make decisions about policy. For example, a lake in Manitoba, Canada was just recently closed after traces of zebra mussels’ eDNA was found in the lakes, despite no actual zebra mussels being spotted. Even though eDNA is yet to reach maximum efficiency, there is still so much potential for it to allow scientists to take more samples and cover a wider area, ultimately producing more substantial datasets. Some of the research into eDNA took place on Lake 373 at IISD Experimental Lakes Area. This all sounds great! Does using eDNA to monitor species have any drawbacks? eDNA offers us some really exciting emerging methods of species monitoring. It could require less time and less sampling effort. Even so, there are still some questions remaining about its accuracy that we need to explore further. If government or industry want to use eDNA as an accurate tool for biomonitoring, we need to be certain that it is providing reliable results. For example, I am particularly interested in how eDNA can be transferred in flowing water systems, where lakes are connected to each other by rivers and streams. Let’s say a species is present in a headwater lake (Lake A) but not in one downstream of it (Lake B). Could the eDNA from the species in Lake A be transferred downstream to Lake B? If so, could we detect this species’ eDNA in Lake B, despite it never having been there? I am also interested to see if eDNA is stratified in lakes. Stratification occurs when lakes separate into different layers during the summer and winter months. Some animals spend their time in the cooler lower layer of the lake (the hypolimnion), but most of the eDNA sampling happens at the top layer of the lake (the epilimnion). Are we missing out on detecting certain species, if we are only sampling the epilimnion? How does IISD Experimental Lakes Area come into all of this? 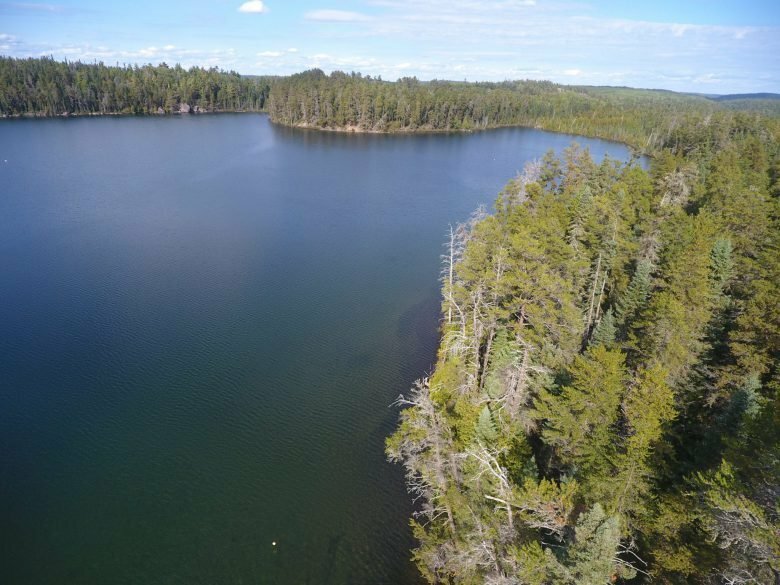 One of the great things about IISD-ELA is that there is such a long-term accurate dataset of the fish populations of certain lakes. This means that we essentially already know which species inhabit which parts of the lake, and when. This year, I went to take samples of the eDNA in the lakes, so we could compare the eDNA results to what the datasets tell us. This will help us explore those two questions I raised before: if eDNA can travel through water bodies in connected water systems; and if eDNA gets stratified in lakes. We do not have the results yet (I still have about 700 samples to analyze), but I would be surprised if we did not see some transfer of eDNA through the water systems. Some of the scientific literature already supports that thesis. And as I said before, if eDNA is travelling through ecosystems, we need to know this and factor it into our biomonitoring procedures. There is also some potential for eDNA to faciliate IISD-ELA work. If we find that my eDNA results match the existing datasets, IISD-ELA researchers might find using eDNA as a biomonitoring technique a great complement to their current fish monitoring programs—one that might save them time and effort.